Functions:mainly used for post treatment of scrim glass cloth incl.those for external wall reinforcement, special purpose reinforcement, grinding disc reinforcement and electric insulation cloth for transformers. Features:pneumatic impregnation, resin content adjustable, constant tension for pulling an woun up, constant lineal speed, speed variation by frequency converter, deviation rectification by photocell, electronic meter, reel up at fixed length, non stop change over, edge trimmer, clean cut edges, tightly wound up, air shaft is equipped with safety clamps, multi heat up modes of dryer for option.Hot air circulation can save energy by 30%.Fast lineal speed, high degree automation, ease of operation and labor saving. 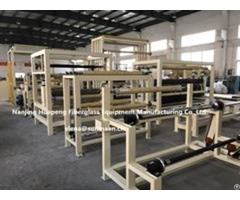 Miscellaneous multiple options of ancillaries, such as single width and double width, one way out pulling cloth and two way out pulling cloth from the same dryer. 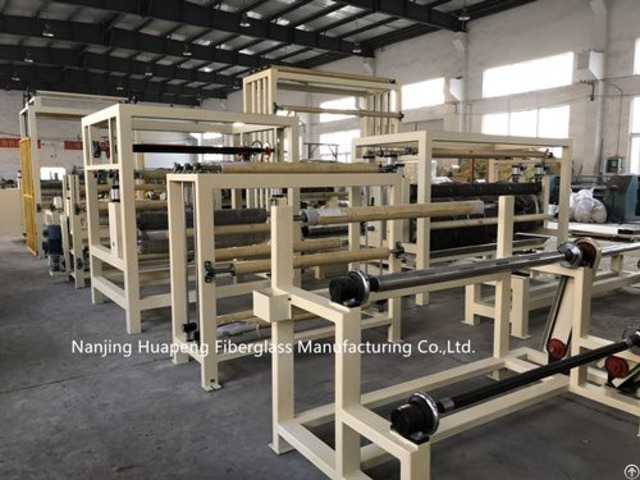 Posted By: Nanjing Huapeng Fiberglass Equipment Manufacturing Co.,Ltd. specialized in manufacturing of fiberglass machinery and equipment.It has strong technical power, excellent production equipment, advanced testing instruments and complete management system.We also have years of research experience in deep processing of fiberglass products,which enables us to know better and serve better our customers.Our company adheres to consistent pursuit of technology absorption,up gradation,research and application.In recent years,our company draws on the experience of foreign companies in the same trade and makes comprehensive improvement an upgradation of existing products.This effort narrows the quality gap between our products and those of foreign counterparts,greatly enhancing the integrity and level of our equipment.It helps to meet the needs of different customers.Since 2006,our products have been exported to Europe,Korea and Middle East countries.